May holidays in Crimea 2014. Vacation in the Crimea. Families with children in Crimea 2014. Holiday House. Springtime - one of the nicest times of the year. It is no exaggeration to say that the Crimea in May, is the personification of spring. We are used to vacation at sea routinely spend the summer under a scorching sun at the beach. 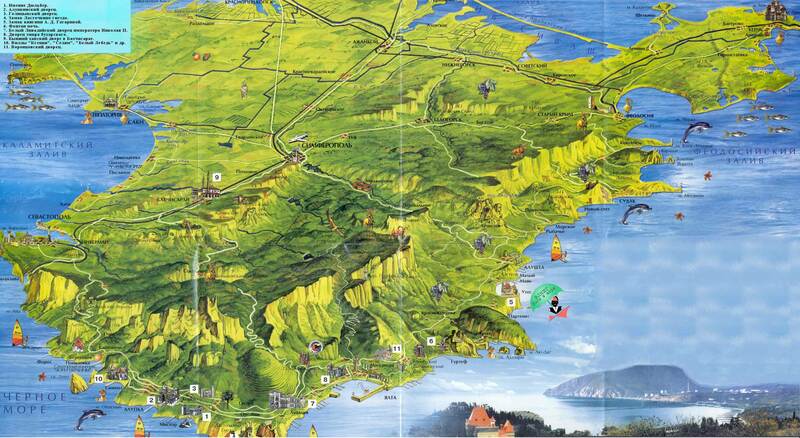 But maybe you just have not thought about how to spend your vacation in the Crimea in May? May holidays in the Crimea in 2014 will breathe the freshness of spring, enjoy the gentle sun, and of course the unforgettable views of seascapes. The sea is not always the same. Indeed, for the sea is always different - and not only at different times of day, but in different seasons, as nature. Why do people like the May holidays in Crimea? Most likely, because for every person, spring - is primarily a foretaste of a novelty, something novel, new. This feeling can not ignore a clear, but if for a moment distracted from the surrounding bustle and listen to yourself, then you can feel how deep within the soul, like a spring leaves, maturing seeds of hope. Hope that now everything would be if not an entirely new way, then surely better. Maybe that's why many parents are planning to holiday at the sea in the spring, spending holidays with the children in the Crimea in 2014. After all the children we place our best hopes, and we want to give them as much as possible, to acquaint them with the world, and try to kid loved it, made friends with him. And it is hard to pick up for this dating more appropriate time and place than the Crimea in May, when nature wakes up after winter sleep. It seems that the trees stretch their branches, smoothing them, preparing to shoot perky green leaves. The sea plays a spring wave, hurling them onto the coastal beaches, in preparation for a meeting in the summer vacationers. And on top, with a sky blue sky it looks at all the smiling sun, stroking his rays of all to what can only reach. 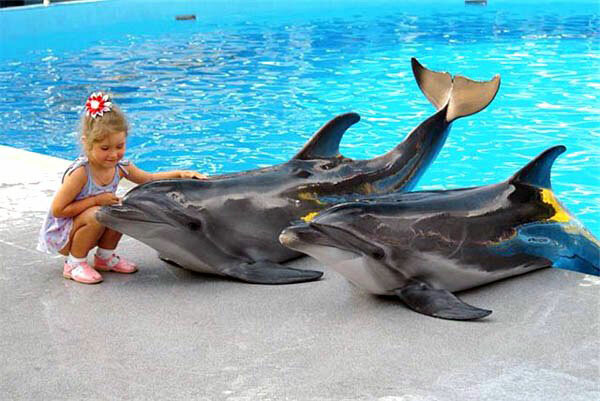 Together with the family can also be a breeze to ride in the car to the water park, which is located in Alushta, or at the Dolphinarium in Partenit. They are in a 5-10 minute drive from the holiday house. 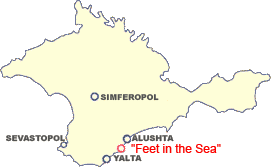 If you've read this far, you can not wait to Crimea, to torment will not - on the hyperlink of Crimea in 2014 prices, you can learn about the value of vacation in the spring Crimea. Besides the beautiful natural environment, which come to the Crimea in May, yet it is worth noting the weather. At the May holidays in the Crimea in 2014 synoptics, referring not only to the forecasts of meteorological instruments, but also statistically the same period last year. Crimea in May differs stable temperature of the atmosphere, which in March could still fluctuate slightly, while the spring and winter figure out a relationship. May holidays in the Crimea in 2014 can perhaps be called one of the most suitable moment to spend a family holiday with children in the Crimea. In other regions the climate still wavering, here is already in full swing preparing for the summer season. That's the Crimea in May, gives a unique opportunity in its entirety to appreciate the beauty of the Crimean flora, especially that close to Elling "Feet in the Sea" is an ancient park, where many plants collected from around the world. If you have already spent holidays at sea in the Crimea in the summer, and already accustomed to the summer znoyu, then spent the May holidays in the Crimea in 2014, you can experience a new sensation, having been here for you in an unusual time of year. You feel like your body, hitting the stone jungle, where lie the gray expanse of asphalt and reign dark concrete buildings, palaces languid springtime awakening of nature, he wakes up from hibernation and begin to rebuild their reserves, which are consumed during the winter. to the May holidays in the Crimea in 2014.